March Fitness Challenge - Get Swimsuit Ready - Beat The Blues! This is a reminder that the March Fitness Challenge is posted in our weight loss support group! Hopefully you've started with us. If not, you are invited to join us and check in each day. There is a calendar with exercises that you can do from home. Each day, the requirements increase to make it a more challenging workout, though with your basic total body exercises such as squats, crunches, jumping jacks, planks and push ups. You can adapt the exercises as needed. Our goal with the March Fitness Challenge is to BEAT THE WINTER BLUES by focusing on becoming more confident and SWIMSUIT READY over the next few months. You can join us even if you've been going to the gym or doing other forms of exercise. It's just fun and motivating to participate in group exercise challenges like this; not just for you, but to support some of the weight loss support group members that are just getting started. Have the flexibility of working out from home with an organized plan and receiving motivation from the group as you need it. 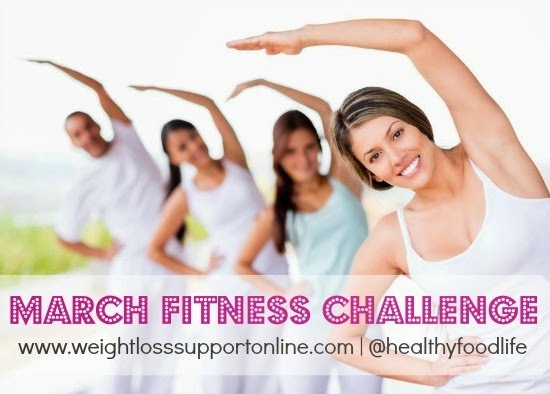 It's free and convenient to do the March Fitness Challenge: Go to this page http://www.skinnyfiberweightlosssupport.com/2014/07/who-do-you-turn-to-for-weight-loss-support.html and the group link is there! Trying To Get Swimsuit Ready By Summer? If you start working out today, you'll have at least 3 months until summer. Plus, if you join the Skinny Fiber 90 Day Challenge , you will qualify for the awesome new prizes the company is announcing April 2015. * The weight loss program is not a requirement to do the fitness challenge, but together you will double the odds of feeling more confident and losing weight. Exercise helps you gain muscle while losing weight with Skinny Fiber - AWESOME!!! Make sure to check back for the special April Weight Loss Challenge details ... The company is going to pamper the winners with an amazing experience!